Item-# 95561 33.9 fl.oz. (1 liter) Treats 57,600 gallons. Helps promote a healthy and balanced biological ecosystem in large ponds. 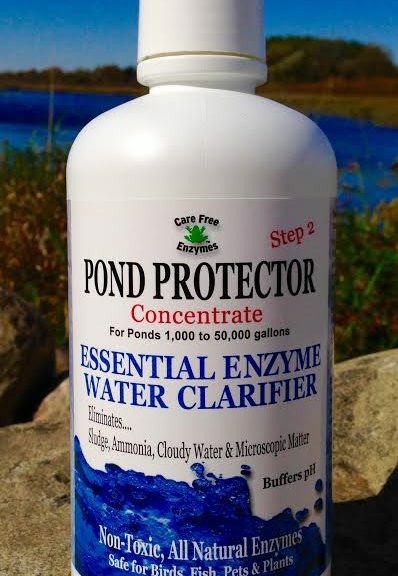 A highly concentrated formula designed for ponds with 2,000 gallons or more. Breaks down food sources (waste) that cause organic contaminants. Our product eliminates sludge and ammonia which can be lethal to aquatic life. Keeps ponds and lakes clear and balanced using natural ingredients. Safe for birds, wildlife, amphibians and aquatic plants when used a directed.